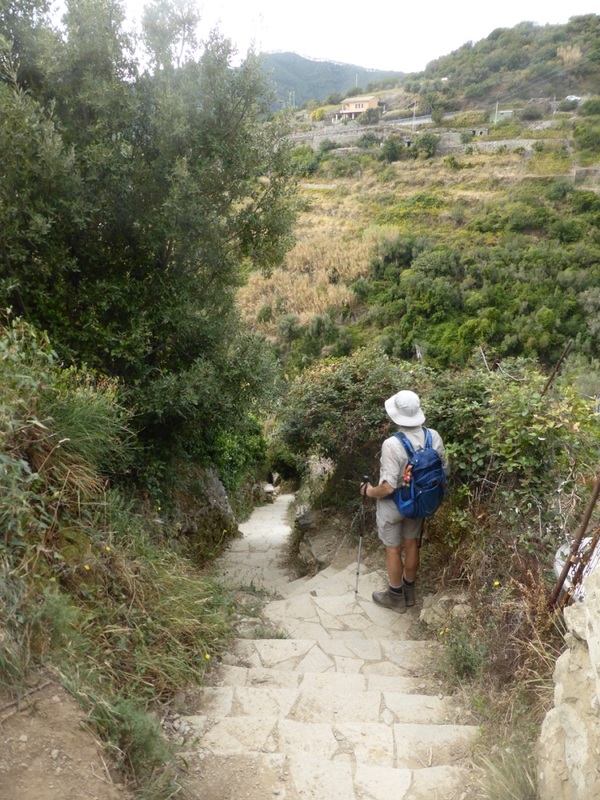 Cinque Terre – On the trail from Vernazza to Monterosso. The trails are well developed, many, many steps. Don’t under estimate these walks – they may be short but they are steep. You need to be fit and wear sound walking boots. Take water with you. There are a few places where you can buy lemonade on the trail but no water fountains. It was hot when we walked in mid October. The trails are very busy so be prepared to give way to others as people walk both directions and the path is often narrow.